James Kenney Park is the center of a vibrant multi-cultural community in the City of Berkeley. 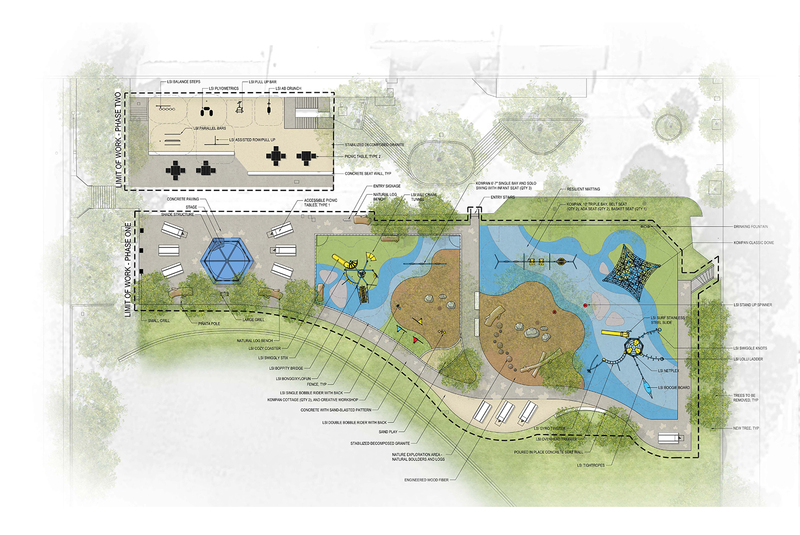 The goal of the project is to develop a renovation plan for play and picnic areas in the central portion of the park on the south side of the community center. Key elements of this central area are the playgrounds, an outdoor fitness area, and individual group picnic areas. The project’s design theme accentuates community gathering and nature play.